StubHub has increased its fees to 15 per cent for ticket sellers in North America that rake in less than $250,000 (€221,000/£191,000) in sales, while big brokers see no change. 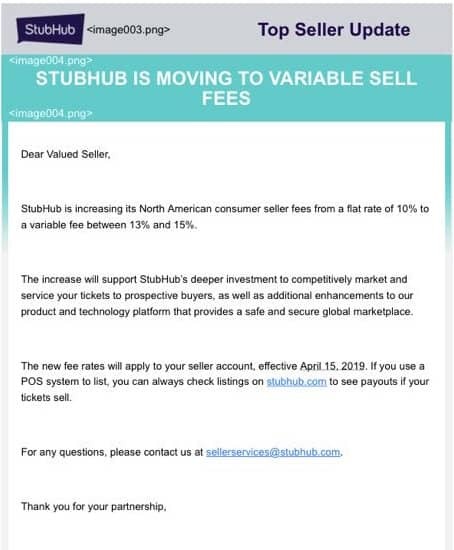 In an email to its “Valued Sellers” StubHub said it was increasing seller fees from a flat rate of 10 per cent to a variable fee of between 13 and 15 per cent. The company claims that the extra cash will be reinvested into marketing, new products and technology developments.